We all know that having the right tools always makes a job easier. When it comes to working safely you have to have the right safety tools. If you and your team are using the proper safety equipment it can make the difference between getting hurt on the job or going home safely. 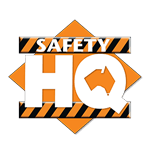 This is where the team at Ballarat Safety can help you. With a combined 30 years experience in the industry, we are committed to providing you with the right safety equipment for your safety needs no matter what industry you work in, no matter how big or small your business is. We stock a wide range of work wear and hi visibility clothing. 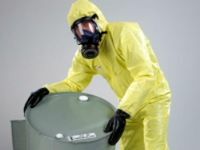 We carry the top brands in gloves, eyewear, ear protection and respirators. We pride ourselves on offering the great service and support you need, at prices that you expect to make sure that you and your team is kept safe on the job. We service Ballarat and district, regularly traveling to Castlemaine, Daylesford, Ararat and Stawell to help our customers make the right choices for their safety equipment. As part of our commitment to your business we offer delivery to your door. So come in and visit Brett, Shaun, Cara and Billy at Ballarat Safety for all your safety gear. We can help you to keep working safely!